Ignoring symptoms of this common wrist problem can lead to permanent nerve damage. First you may notice tingling or numbness in your fingers that comes and goes. Over time the sensations may get worse, lasting longer or even waking you up at night. Eventually the pain and numbness might even make it hard to grip things like a fork, a pen, or other objects. If you're having these symptoms, it could be carpal tunnel syndrome, which occurs when the median nerve — which runs down your arm and into your hand — is compressed by a ligament that crosses over it as it passes through a narrow space in the wrist known as the carpal tunnel. "Carpal tunnel syndrome has classic symptoms, which include numbness and tingling in the thumb, index finger, middle finger, and half of the ring finger," says Dr. Tamara Rozental, associate professor of orthopedic surgery at Harvard Medical School and chief of hand and upper extremity surgery at Beth Israel Deaconess Medical Center. Your little finger is typically not affected because a different nerve serves it. While it used to be thought that repetitive activities such as keyboarding could cause carpal tunnel syndrome, research has found that this is largely not the case, says Dr. Rozental. However, regular use of heavy or vibrating equipment, such as a jackhammer, may predispose you to the condition. Your doctor can usually diagnose carpal tunnel syndrome based on your symptoms and the findings on physical examination. But in some cases, you may need additional tests to ensure that those symptoms aren't being caused by another condition, such as arthritis, a pinched nerve in your neck, or neuropathy (a type of nerve damage that can be a complication of diabetes or other conditions), says Dr. Rozental. One of the tests used to confirm carpal tunnel syndrome, a nerve conduction study and electromyogram (EMG), uses an electrical signal to determine how well the nerve is working. Another test uses ultrasound, which is less invasive than an EMG but requires an experienced technician and is not as widely available. For mild cases of carpal tunnel syndrome, resting your hand and wearing a splint at night might be all it takes to relieve symptoms. Symptoms of carpal tunnel syndrome often occur at night, causing people to wake up and shake or move their hand around until the numbness resolves and it feels better, says Dr. Rozental. Medications, such as aspirin and ibuprofen aren't a cure, but can help relieve pain. Your doctor may also want to try giving you steroid injections to help relieve symptoms. If these carpal tunnel treatments aren't effective, however, it may be time to consider surgery to release the ligament that is placing pressure on the median nerve. "The mistake that people often make is waiting too long to get surgery," says Dr. Rozental. "I see a lot of people who say that their numbness was gradually worsening and now their hand is completely numb and has been for a year." If the nerve is compressed long enough, the muscle atrophies and the nerve damage becomes permanent, she says. So, if your carpal tunnel symptoms aren't responding to other treatments, take action quickly. The surgery takes 10 minutes under a local anesthetic. Unless you do a job that involves manual labor, you can typically go right back to normal activities, says Dr. Rozental. 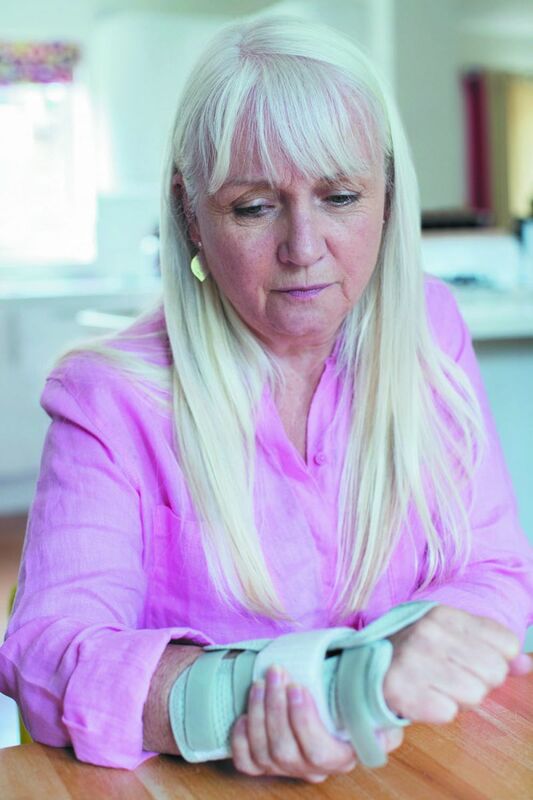 "I tell my patients all the time that a carpal tunnel release done at the right time for the correct diagnosis is very successful," she says.